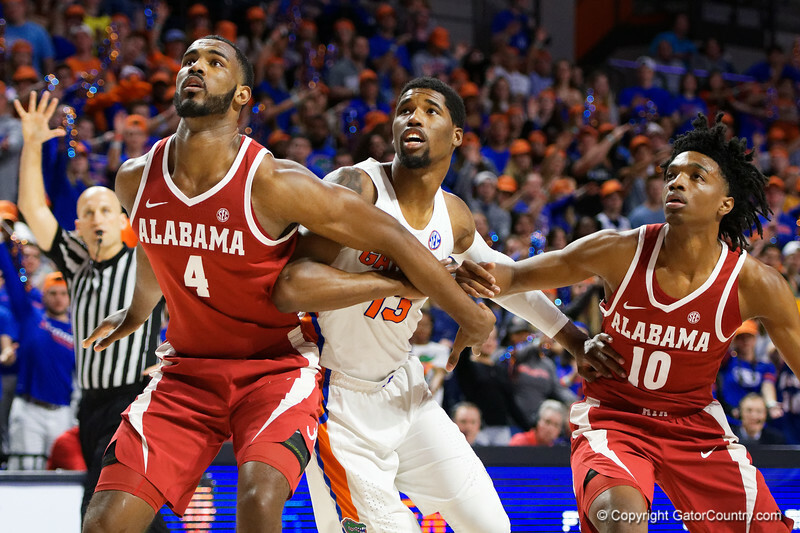 University of Florida Gators forward/center Kevarrius Hayes during the first half as the Gators fall to 15-8 with a 68-50 loss to the Alabama Cmson Tide in Exactech Arena at the Stephen C. O'Connell Center in Gainesville, Florida. February 3rd, 2018. Gator Country photo by David Bowie.